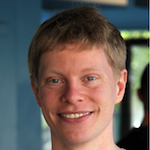 Alex Brasetvik is a founder and senior software engineer at Found AS - a company whose primary product is a hosted Elasticsearch service. Before working for Found, Alex earned his Master in Computer Science at NTNU, with an emphasis on database- and search engines. He has spent the past seven years on problem solving and solutions related to search, focusing on Elasticsearch in the last two years. His general distrust of things working according to their specifications comes in handy when reliability is what you need.